Play Ariel Birthday Girl and help this mermaid princess open up her presents and create cute outfits with them! Today is Ariel's birthday and all the other princesses have brought a lot of gifts. Help her choose four of them to open. You will get some cute clothes or delightful accessories. Is it the best birthday ever? Ariel certainly believes so! She appreciates you celebrating with her! Have a wonderful time playing this lovely game named Ariel Birthday Girl! 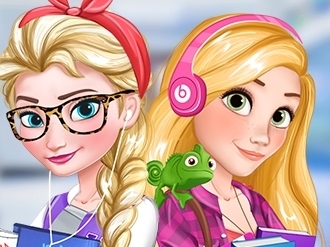 Elsa and Rapunzel are ready for the biggest adventure of their life. Do you want to know why? They are going to college and it's the most exciting time. They will share a great dorm room and you can help them prep for the first day of classes. 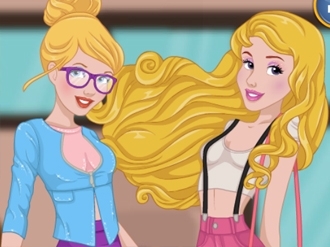 Start the exclusive game called Elsa And Rapunzel College Girls and help the two lovely princesses look gorgeous. 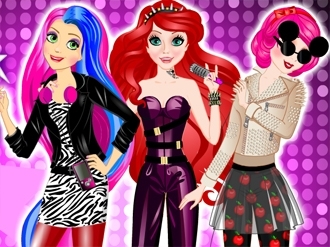 Disney princesses are ready to rock! They can’t wait to go up on the stage and perform a rock show. Naughty girls are going to show their best and prove that their band is the best rock band ever! But first of all this cheeky girls wants to make sure everyone will be stunned by their original, perfectly matched stage outfit. 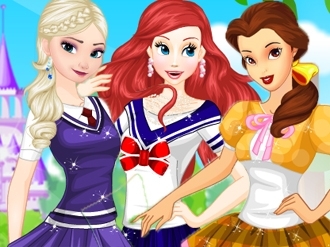 Ariel, Rapunzel and Snow White are waiting for your fashion advice. There’s a lot of different outfits at their wardrobe. Choose between the spiky tops and leather jackets, leopard prints and plaid, super high heels and golden converse. Accessories are matter as well! Glasses, gloves, players, headphones and hats… Wow! There’s so many options! And in the end the competition will starts and you’ll find out who’s the prettiest one! But don’t worry. No matter who will win, our princesses will be happy for the winner. Because they are BFF! 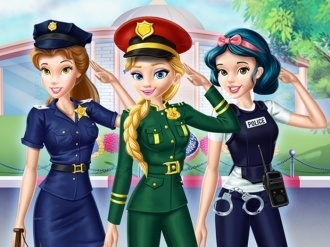 Don’t waste any time and help Disney Naughty girls! Elsa, Ariel and Belle are all going to the same college! They are sooo excited! Dress each princess in a school uniform before they head off to class together.